This has been the best tube for me so far. The only flat was completely my fault. Durable and light in all temperatures. Fits the bill even doe 25c tires. Delivery is faster than i expected. Reasonable price and good quality. I don't worry about getting a flat tire. Nice deal. Had an issue recurring flats. Other tubes would last 24hrs at best. Put these in and they lasted a month. Then I was finally able to figure out that my rim tape wasn't doing its job (despite being relatively new). I'm not buying any other tubes. 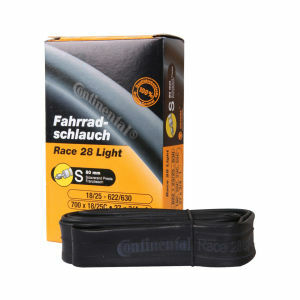 Standard road bike inner tube. So far no flats, which is nice, but I was caught off guard by the valve core not being removable, which makes it pretty useless for deeper rims. Something to keep in mind if you go out for a ride and take one of these, might not be able to fix that flat. Good tough tubes that don't pinch easily when you change them, on the side of the road (while everyone stands around tapping their feet, waiting on you). This inner tube has a circumference that is larger than the wheel so it cannot be put inside the tire properly. 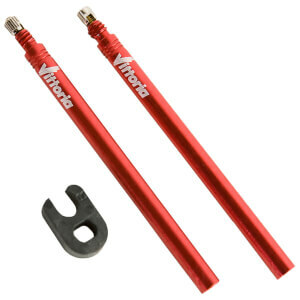 The tube slips appears to be strong and easily fits into tire and the stem seems robust, however the stem is smooth with very little threading at the tip. My Silca pump and my Blackburn thread on pump attachments will not grip the smooth stem and cannot be used on these tubes. The review is not really directed at the tubes. The tubes are fine. What I found interesting was the tubes included are 700x18-23. The tires I got were 700x25 and 700x28. 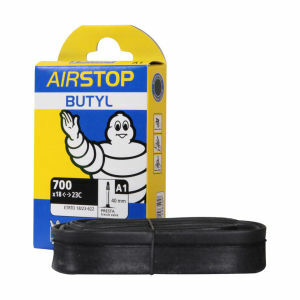 There is no way I will use the tubes in the 700x28 because I think it will stretch the tubes to much and make punctures more probable. 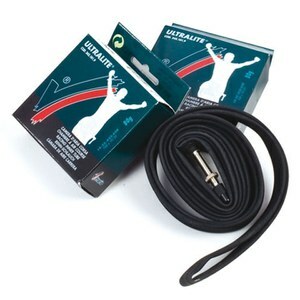 ProBikeKit has great sale pricing and even though the tubes are rather worthless for my own use, I will be happy to take them on group rides because someone is bound to have a blow-out and the tube will be a perfect solution.